When it’s lilac-blooming time again this year from early May until end of June-will your garden be replete with their white, violet, pink, blue; and purple flowers? 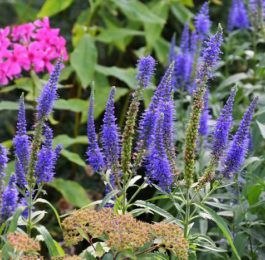 Certainly they are among the most popular of all flowering shrubs, and nurserymen have over 250 named varieties to offer for your planting. 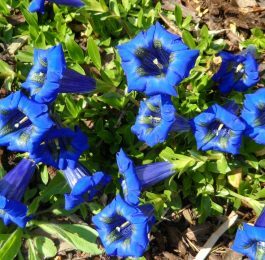 Perhaps you’re holding back just because of this multitude of varieties, knowing not which are best to choose, or, having made your choice, you’re in need of few pointers on the setting out and preserving of your plants. 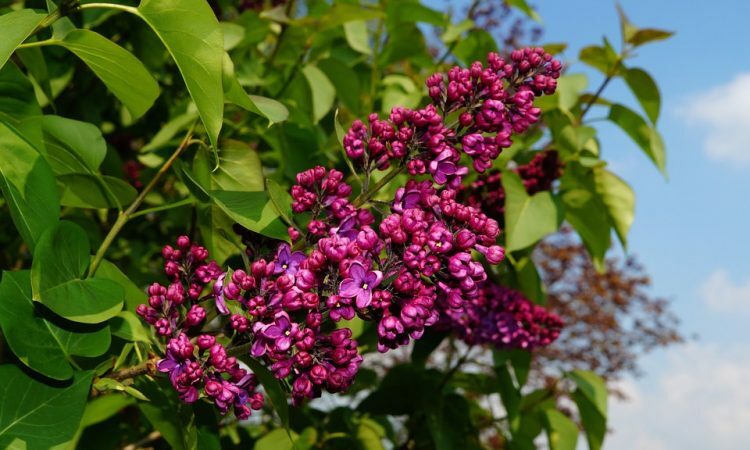 First, about varieties, we recommend as the best lilacs for a flowering hedge the pink form of Persian lilac. For specimens and groups, these are our first choices: For a white, choose Vestale for single flowers and Ellen Willmott or Edith Cavell for double flowers. Our favorite blue single is President Lincoln and double, Olivier de Serres or President Grevy. Lilac-pink Lucie Baltet is a choice single, and among the loveliest doubles-Belle de Nancy, Katherine Havemeyer, and Mme. Antoine Buchner. Congo is about the most striking purple single, and Violetta is first among the doubles. Ludwig Spaeth is probably the most handsome dark purple. When you order your lilacs, specify plants guaranteed to be on their own roots or grafted on privet under stock. Query your dealer at this point before you place your order. Have your lilacs arrive and plant them as early as the oil can be worked. If lilacs are set out to late, their leaves are likely to be dwarfed the first year, and the bush cannot make normal growth. Planting in late fall is also recommended for areas as far north as Boston. Space your lilacs 5 feet apart in a neutral or limy soil, in a position where they’ll get sun for at least six hours a day. Pulverize the soil to the full depth of a spade and spread the roots vertically. Lilacs send out a mat of roots, all quite close to the soils surface. Cover the roots with clean topsoil, and then finish off with soil into which you have worked a balanced plant food, moderately fresh dairy or stable manure, or a cup of super phosphate. Protect the bark of the view plants from injury both when you’re handling them and after they are planted. Cut sod back from the stems to prevent a reckless lawn mower from hitting them. And water all our lilacs heavily up until their blooming time, unless the season is extremely wet. A loose mulch on the area above the roots will help soil take in water more freely, and it will save your back by doing away with your having to hand-trim spreading grass. When your lilac blooms beckon you to take them in to fill your rooms with color and scent, do cut them with care. If you understand how lilacs grow, you won’t sacrifice next season’s blooms by uninhibited cutting. As for pests, there are a few that may pick on your lilac stem borers and sucking pest’s known as scale. Stem borers make tiny holes in main sterns but leave telltale sawdust behind. Scale gathers thickly along new growth, cause distortion of leaves, and can be easily seen if examined closely. 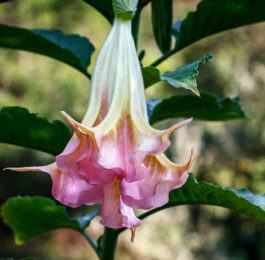 If, you find scale in June, spray all the upper foliage with a light; miscible oil sold for this purpose and mixed according to directions for a summer spray. Do not exceed the amounts recommended. For a bad infestation that has escaped your detection, spray again after the leaves have dropped in the fall with an oil emulsion mixed to correct proportions for a dormant spray. Weather conditions facilitate the spread of mildew, which sometimes disfigures lilac foliage in late summer. Though disfiguring, it’s not dangerous to their health. Cropping ends only reduces bloom. Remove the seed heads. If your bush is too tall for space, cut out the older branches near ground, level. Use a narrow saw in order to avoid wounding the remaining stems. If the bush grows too wide, limit your cutting to the outside sprouts.